Children wear school uniform to foster a pride in their appearance, and their school, and to identify them when out on school journeys. Lowbrook Cardigans or Lowbrook jumpers. School blouses without a tie optional for girls (KS2). Pale blue and white gingham summer dresses. Grey socks or tights - winter. 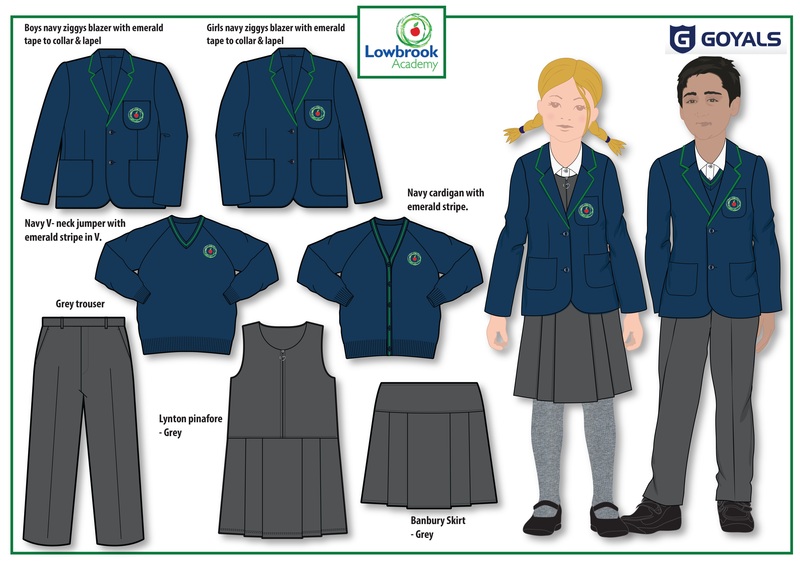 Lowbrook Jumpers and Lowbrook Cardigans are available to purchase from the School Office. Jewellery must not be worn apart from a sleeper and stud type earings. A watch may be worn but remains the child's responsibility and must be removed for PE. Long hair should be tied back for safety and cleanliness reasons. Nail varnish should not be worn. 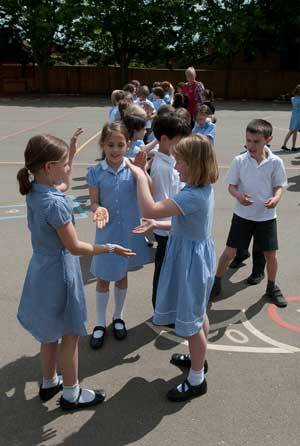 It is also important for safety and cleanliness reasons that the children have a suitable change of clothes for PE. They will need plain black shorts, a Lowbrook white PE T shirt, plimsolls or trainers and a tracksuit for outside activities in cold weather. Again black shorts, Lowbrook white PE T shirt and tracksuits are available to purchase through the school office. All extra clothing should be kept in a small PE bag (Lowbrook PE bags are available in the office). The children wear black T shirts and shorts for drama. Once again these can be obtained cheaply from the office. Please don't forget to label all clothing.